As of 19:00 on Wednesday 19th November 2014 the BK website has not been updated with full descriptions. Price: £4.59 each for the burger only. 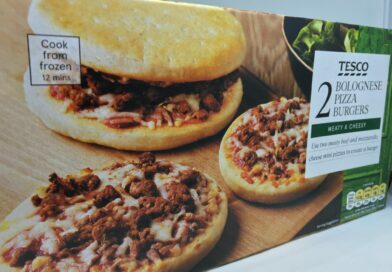 Calories: 676 kcal for the Meat Lovers and 823 kcal for the Quattro Cheese. It’s the most wonderful time… of the year… and you know exactly why that is don’t you Andy!? It’s not because of presents, ugly Christmas Sweaters, John Lewis Penguin adverts or jolly Saint Nick himself… it’s because Winter Whopperland returns to our High Streets courtesy of Burger King and we’re there to try out these latest limited time offers. Originally, we reported that the Euro Trip promotion was to end on Monday 3rd November but it was extended. Was this due to one or a combination of the following? 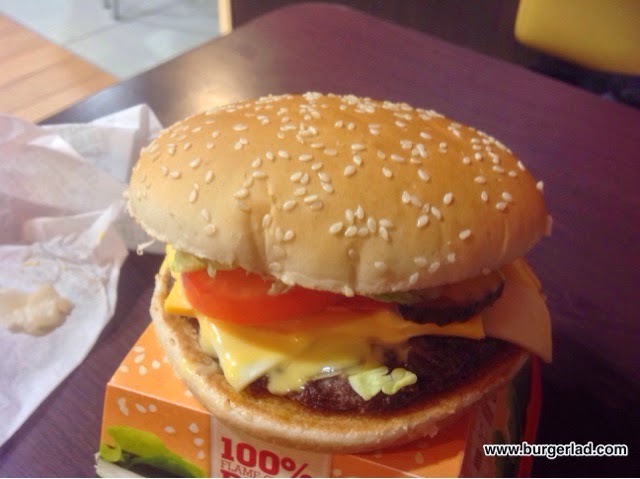 1) My Burger still running and BK wanted to wait for that and the hype to end. After all one or two of the “winners” are blazing a trail of glory on Twitter these days. 2) Having loads of Euro Trip stock leftover. This is a definite possibility. After all, McDonald’s will be doing similar this week by selling off the last of the Big Unos and Ultimate Supremes before releasing their Xmas promotion Wednesday 26th November. 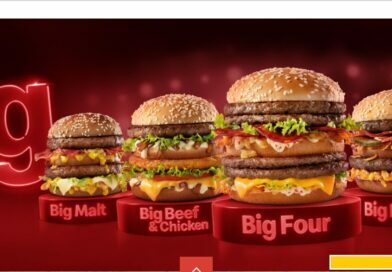 3) Being a little early to release their Xmas-related burgers and not wanting to have a gap between promotions. I’d say this is a safe bet. 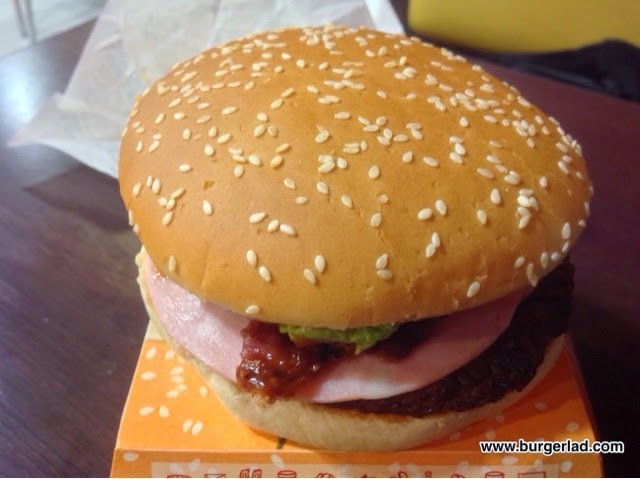 It was Tuesday 18th November 2014 BK updated their Facebook and Twitter accounts (the equivalent Tuesday in 2013 saw the release of the Smokey Mountain Whopper and the Winter Whopper with Curry Sauce). 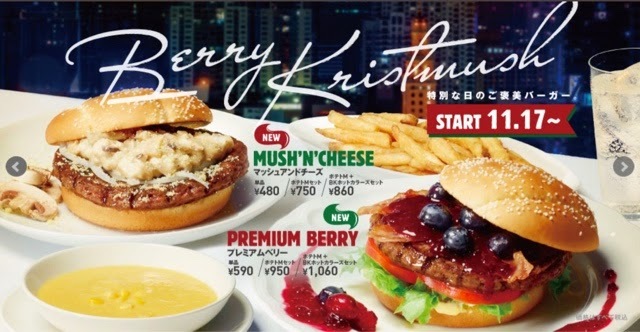 Tis the season for Christmas promotional items across the globe from the King and Co.
We’ve already been wished ‘Berry Kristmush’ in Japan with the release of the Premium Berry (a burger topped with berries in a berry mixture sauce) and the Mush ‘n’ Cheese (a black pepper patty topped with a sauce made from various types of mushrooms and cheeses). 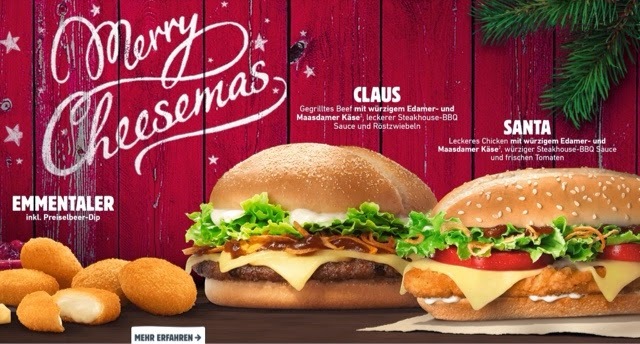 Germany and Austria followed suit with “Merry Cheesemas” offering Lederhosen donned consumers the Santa (chicken) or the Claus (beef) both have steakhouse sauce, two types of cheeses and for the beef variety fried onions. 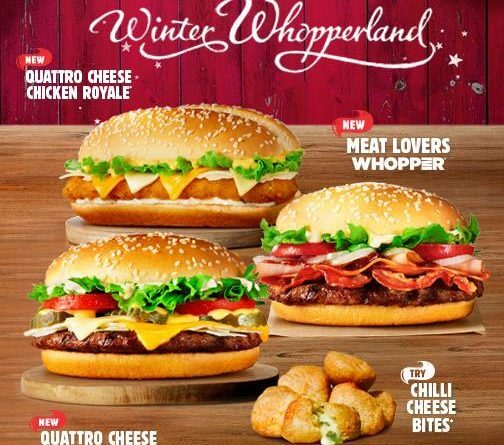 So from Burger King UK we have three new Winter Whopperland burgers for 2014 (alongside the ubiquitous Chilli Cheese Bites) and today we’ll be reviewing two of them for you on your favourite burger review website – up first is the Meat Lovers Whopper. 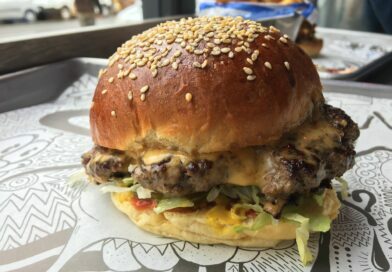 We were a little delayed getting to our closest Burger King on this occasion so you’ll have to excuse the relative lateness of this review… after all we pride ourselves on being the FIRST in the world to give you an exclusive look at burgers on the High Street in the UK. 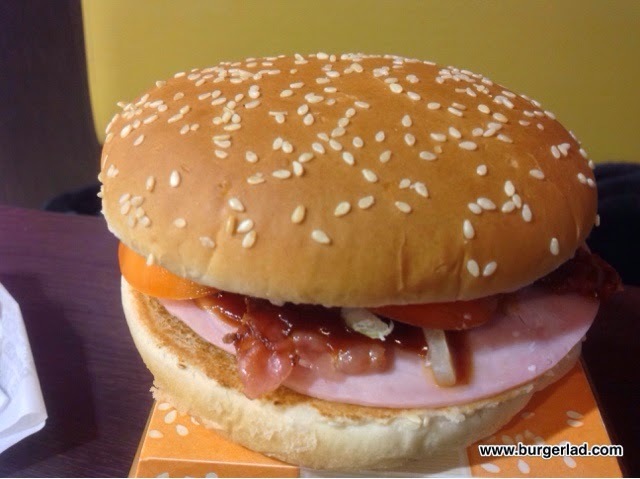 Boasting three different types of meat – beef, bacon and ham is this BK’s nod to the semi-traditional three-bird roast? Yes I thought it was a tenuous link by me as well but just how did this thing taste? Was it a meat feast beast or did it deliver a whimper instead of a whopper…? To be honest, it fell somewhere between the two… I rushed into town at about 16:45 on the Wednesday and with sheer luck walked into an empty counter at this High Street branch. Within minutes there was a queue of about 8 people behind me. I thanked my lucky stars as this place takes AGES to get your food and again it regained that reputation this evening. I wasn’t asked if I was eating in or taking away and after about 7 minutes walked away with a brown paper bag containing an astonishing FIFTEEN HUNDRED CALORIES. And with 82p left from a tenner I thought this had better be worth it. As you can see from all the photos the burgers are always made up looking fairly decent but considering each is built to order and it takes a fair while you would expect this. We filmed the latest double featured episode of BLTV which you can see below, during which we took our first bites. The Meat Lovers Whopper was alright. It had that trademark flame-grilled taste going on and you get hints of fresh onion and the smokey, steakhouse-style sauce. Upon a bit of inspection I did notice some flecks of bacon but there wasn’t much of it on-board but it gave a bit of additional smokiness to the burger. The patty was a bit dry as usual and was helped down the gullet with the mayo which coated the crown of the build with a respectable amount of lettuce clinging to it. I really wanted to check out the ham as having seen someone tweet a picture of it earlier that day they had described it as luncheon meat and they weren’t far wrong. I dissected a bit to try on its own and could barely distinguish any taste to it. 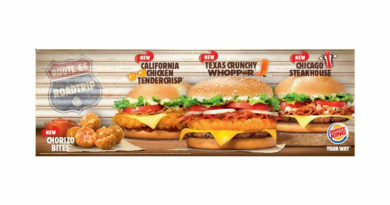 As soon as I saw the promotional picture for the Quattro Cheese Whopper (Audi are currently speaking to their Lawyers) I thought about the recently released USA Four Cheese Whopper. The US cousin is described as containing “melted American cheese, a creamy three cheese blend, cheddar sauce” so in my mind that is clearly five compared to our “Quattro” UK version having layers of Edam, Grana Padano, American Cheese and a Cheddar Sauce. Now Burger Lad® was beaten to this by our very own secret agent Miss Milkshake today and she’ll be adding comments below, and being a cheese lover I am very much looking forward to hearing her insights. I’m a fan of cheese when it comes to cheese melted on burgers, cheese on pizzas and that’s about where the love association ends. Oh maybe cheese on toast as well. Again this had been put together nicely and I liked the way you could see the different layers of cheese with the sauce melting over it but to me it was far too sickly tasting. That cheese sauce was sweet and pretty gross in my opinion and I actually only ate half of the Quattro Cheese Whopper before confining it to the bin. Countless people drop to the floor in shock reading that statement. But at a Whoppingingly massive 823 calories can you blame me for not finishing it…!? 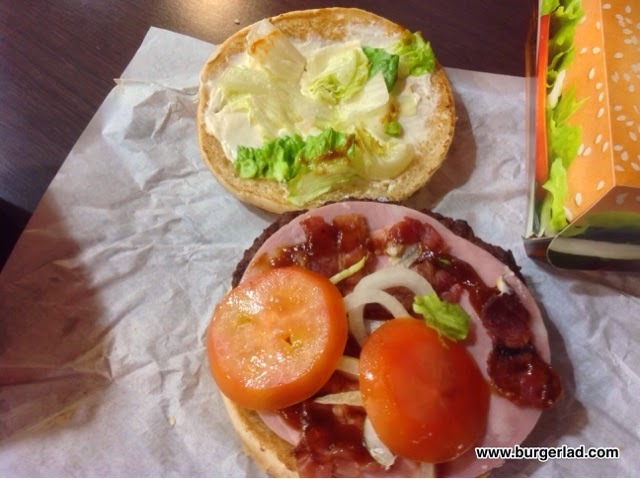 The fresh tomatoes on both Whoppers were fairly indistinguishable but also found themselves in the bin as well (I did to my credit eat some with them on to give them the customary chance of tasting as intended). The thick cut pickles on the Quattro were good but everything was drowned out by that cheese sauce and combined with the mayo just gave it a sickly sensation – maybe it’s just me though. Lovers of really fake nacho cheese will probably lap this up but maybe my palate is getting too discerning these days. 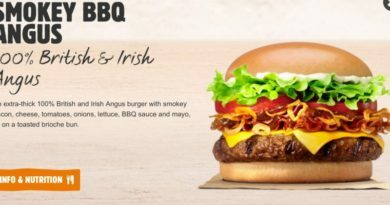 After all I am a MASSIVE fan of Burger King as they’ve always treated me well in the past but I’m just starting to get a bit disillusioned with their products and overall setup. Sorry BK I wanted to say “yes please” to the Quattro Cheese but for me it just didn’t work. The Meat Lovers Feast was alright but in the end I found I enjoyed it most just to take away the taste of that overbearing cheese thing. I drove back to BLHQ in a sense of disbelief that I had “lost” £10 this evening doing this double-feature review (donation button can be found on the right of our website). I wasn’t much of a fan of the Euro Trip promotion and now the Winter Whopperland has disappointed me as well. If standards don’t improve in the next promotion I’ll be outsourcing all my BK reviews for good. 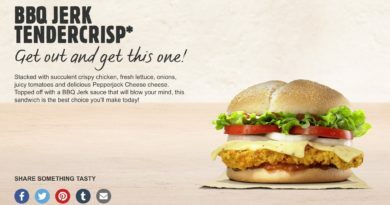 With McDonald’s delivering engaging consumer promotions such as My Burger and re-releasing the fan favourite McRib in 2015, plus places like Five Guys and Byron expanding all the time you’d think Burger King would be upping its game. 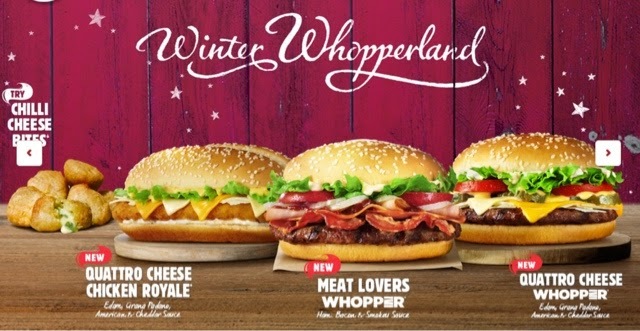 The wrong promotion picture put up on their social media, website still not updated with full descriptions of these burgers and their nutritional information missing (I actually commented on BK’s Facebook page asking when the website was being updated today and within an hour they had at least removed the Euro Trip pictures and added the correct Winter Whopperland photo). What has happened to the Burger King I used to love so much? 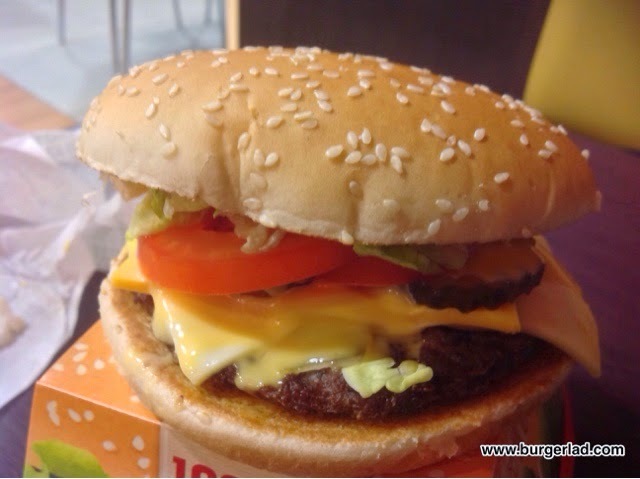 Has the Burger Lad® experience changed how I look at burgers forever? Am I able to eat a burger ever again without doing a “review”? I don’t know. What I do know is that it was a long wait this evening, I wasn’t asked if I was eating in or taking away. The seating area is “closed” upstairs for paying customers while people off the streets come in, use the toilets upstairs then leave without buying anything. Weighing in at 60% of a males recommended daily calorie intake for both burgers and costing a shade under £10.00 I’ll let you decide if I’ll be participating in the Winter Whopperland again. And with that let’s leave you with our latest episode of Burger Lad® TV where you can see and hear my initial reaction and thoughts. XL Bacon Double Cheese is one of my top 5 HSB's ever. The purchase: Not what I called ‘Fast Food’. One guy serving and a typical lunchtime queue building up. I’m impatient enough as it is, and loathing mayo with a passion I had to ask for mine without, knowing this would add crucial minutes on to my waiting time as my burger was built from scratch. My heart sank into my winter boots as a woman called out “Double cheeseburger no mayo?” It wasn’t what I ordered and my immediate frown informed her of this. She assured me it was a QCW and that she’d just said the wrong name, and my fury ebbed. The look: The box housed a carefully prepared and neatly wrapped burger. 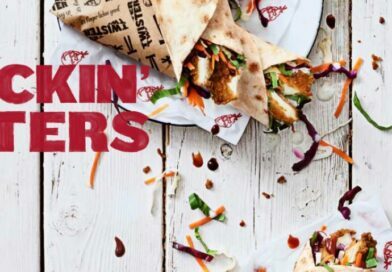 I’m a sucker for details and I like to see a bit of effort put in, and high street fast food should be no exception. It looked well-made, and if this was what I was waiting for then I applauded whoever rustled it up. 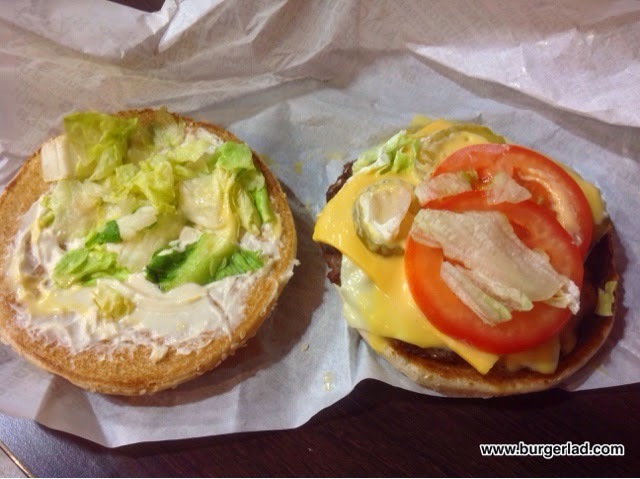 Like Burger Lad® himself, it was well put together, and I liked how it came half-covered in a wrapper, to avoid any unnecessary mess. The taste: I think I prefer the flavour of Burger King burgers to McDonalds, and in the last 5 weeks I’ve had a few! That distinct flame-grilled taste never disappoints, nor does that first waft of classic grilled burger aroma when you lift the lid. I was a bit daunted by the size of the pickles at first, but I’m glad I didn’t take them out because they cut through the cheese perfectly. Without them (and with mayo) this could have been a sickly mess, which incidentally is my sister’s nickname at university. Did it live up to the name? Well! I was in such a rush to try this one I didn’t take note of all the ingredients first. Insert disappointed face here! 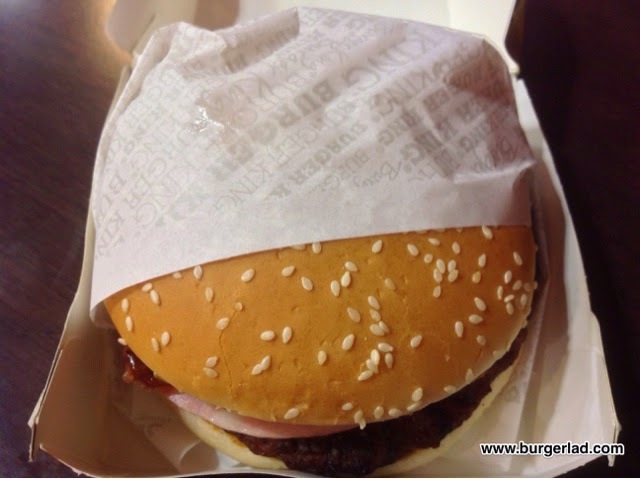 A ‘whopper’ is also another name for……….a LIE! Four cheeses? I’m sorry, but ‘cheese sauce’ should not be counted as a cheese. Also there was too much of it, but that’s just me being subjective again because I don’t like gooey food. 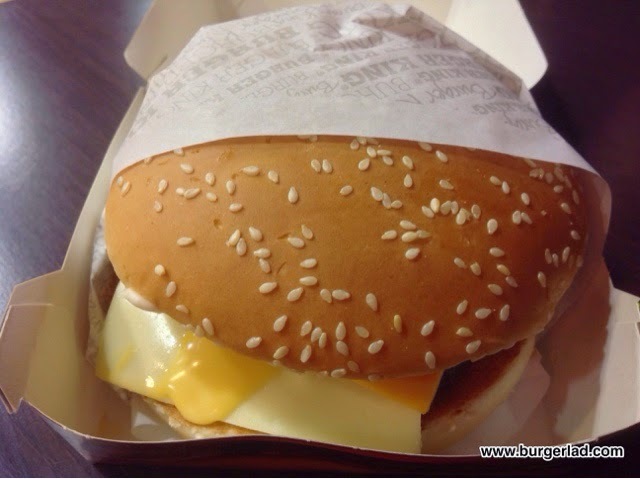 The other cheeses were great though, and if I had my way (which technically I should get at Burger King, right!?) they’d have all the cheeses on every burger. Not a great burger in my opinion, as if I was ever going to order this one again I’d be tempted to say “hold the mayo, the pickles, and the cheese sauce”. That, in my view, is FAR too much effort, and as such I’d more than likely end up ordering a bacon double cheese (yes please) instead.